Wow! How time flies! Can you believe that SHREK is celebrating the 15th anniversary of its theatrical release?! The 2001 movie which won the very first Oscar presented in the history of the Academy Awards for the category of Best Animated Feature has made the endearing ogre who stars in the motion picture a pop culture phenomenon ever since. In honor of SHREK's 15th anniversary, Twentieth Century Fox Home Entertainment has re-released the movie for family's to add to their video libraries. SHREK - ANNIVERSARY EDITION is now available to purchase via Digital HD and will be released on June 7, 2016 for DVD and Blu-ray. 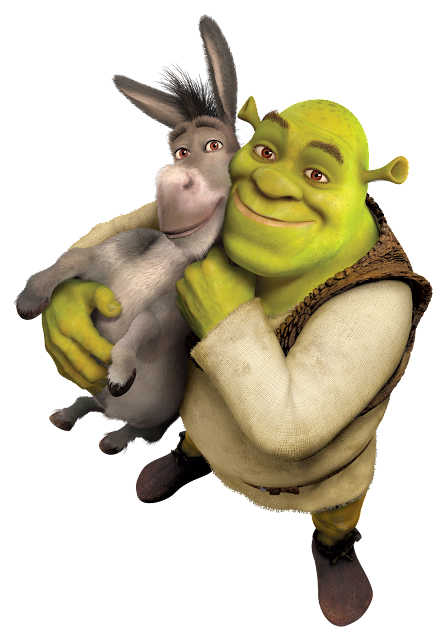 Relive every moment of Shrek’s (Mike Myers) daring quest to rescue feisty Princess Fiona (Cameron Diaz), with the help of his lovable loudmouthed Donkey (Eddie Murphy), and win back the deed to his beloved swamp from scheming Lord Farquaad (John Lithgow) with the home video re-release of the movie. To celebrate this anniversary, A Geek Daddy has some fun movie facts to share, is giving away SHREK - ANNIVERSARY EDITION on DVD, plus is providing a fun printable party kit that will help you have some family fun for a movie night. The movie is based upon a children's picture book by William Steig published in 1990. Steig was a long-time cartoonist for The New Yorker and had been referred to as "The King of Cartoons" by Newsweek. William Steig also wrote a book titled "Sylvester and the Magic Pebble" where a donkey has a magic pebble and scared of a lion wishes to become a boulder to protect himself from the giant feline. 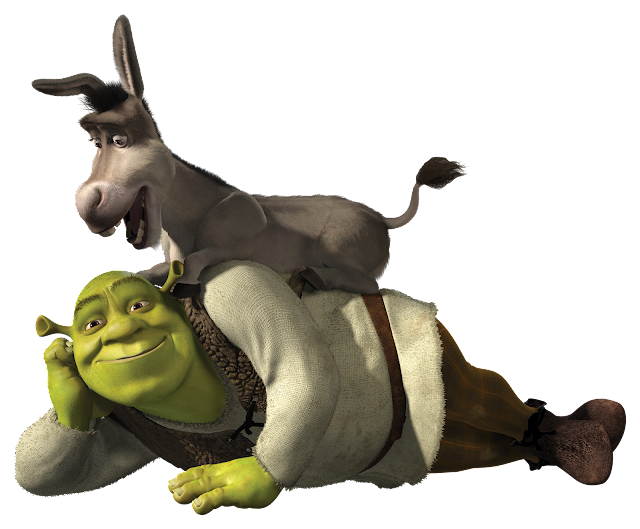 Donkey's saying "I like that boulder, that is a nice boulder" in SHREK is meant as a reference to "Sylvester and the Magic Pebble" and a tribute to Steig. Cameron Diaz burped while recording lines after drinking a Coca-Cola and writers added the scene where Princess Fiona burps based upon that incident. Donkey was based upon a real miniature donkey named Pericles that was kept at a park near Dreamwork's offices. The song "I'm a Believe" which has become an anthem for the movie was chosen for the line in the song "I thought love was only true in fairy tales." None of the actors voicing the movie's characters interacted with each other during the film's production. They each recorded their lines separately with a reader from the production crew feeding them the other characters lines. Shrek showering in mud was the hardest part of the movie to animate so the animators took mud showers themselves to observe how to realistically show the scene in the film. When Shrek's swamp is invaded at the beginning of the movie more than 1,000 fantasy characters are featured within the scene. The storyboard artists responsible for The Gingerbread Man, Magic Mirror and Pinocchio voiced those characters. Shrek, the character, was honored with a star on the Hollywood Walk of Fame. A Geek Daddy has a SHREK - ANNIVERSARY EDITION DVD to giveaway to one lucky blog reader or social media follower. To be eligible for this giveaway you must follow @Geekdad248 on Twitter and retweet our original contest tweet embedded above before May 30, 2016 @ 11:59 pm EST. Must be a US resident over the age of 18 to participate. No P.O. Boxes allowed for delivery of the prize. One entry per person and winner will be selected from all eligible entries. Twentieth Century Fox Home Entertainment will be responsible for the delivery of the dvd to the selected winner. By participating in this promotion you waive any liability of any kind against the publisher of this blog. A Geek Daddy is providing this giveaway contest as a benefit to our readers and social media followers. UPDATE: Congrats to Becky from Revere MA on winning the SHREK movie prize pack! Enjoy this fun party kit containing invitations, masks, and a Mess with Donkey game, among other things. Happy 15th anniversary Shrek! I know our family will be enjoying your movies for many more years to come.